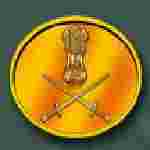 Indian Army recruitment 2018 notification has been released on official website www.indianarmy.nic.in for the recruitment of total 291 (two hundred and ninety one) jobs out of which 10 (ten) vacancies for Lower Division Clerk, 266 (two hundred and sixty six) for Tradesman Mate & Various Vacancies. Apply before 21 Days from the Date of Publication. Here on this page you will get the details like the Name of vacancies released by Indian Army with exact number of posts. Some other criteria like Education details, application fee and way to apply application for Indian Army recruitment 2018. Educational Qualification: 12th Class Pass or equivalent from a recognized board for S.no-1. Matriculation Class Pass or equivalent from a recognized Board for S.no – 2. Interested and eligible aspirants may apply in prescribed application form along with self-attested copies of education qualification certificate, date of birth certificates, caste certificate where applicable, photocopy of discharge certificate, two passport size photographs duly self-attested & self-addressed envelope affixing postal stamps of Rs. 25/- etc. send by Ordinary Post / Registered Post / Speed to 27 Field Ammunition Depot, Pin – 909427, C/o 56 APO on or before 21 Days from the Date of Publication.